ISLAMABAD: As the projects worth $ 27 billion under China Pakistan Economic Corridor (CPEC) are under implementation, China is reportedly a little concerned about Pakistan’s weakening repayment capacity of loans received for such projects. 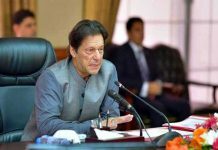 According to insiders the ballooning current account deficit, increasing external debt and other financial woes of Pakistan are not only challenging issues for the country but are worrisome for China, being the major investor in CPEC. According to reliable sources, the Chinese government, during recently held meetings in Islamabad, has conveyed the message to authorities here that it may break the speed of investment in Pakistan seeing the financial situation of the host country. The neighbouring country will, however, complete the early harvesting projects of CPEC and decide about the projects in the next phases or Long Term Plan (LTP) after evaluation of the success of the already completed projects. “As the repayment of loans of Chinese projects will start by 2019 and 2020, the Chinese side has started analysing the payment capacity of Pakistan in the next two years. However, the neighbouring country is hopeful of better financial results after completion of early harvesting projects of CPEC,” said an official at Board of Investment (BoI) on terms of anonymity. 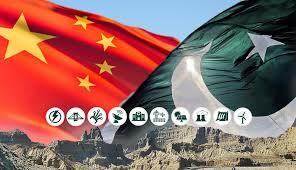 “China is presently only interested in two Special Economic Zones (SEZs) including Hattar and Dhabeji industrial areas. The feasibility studies of remaining seven SEZs have not attracted Chinese investors,” he said. “Priority zones will be developed now instead of all SEZs. 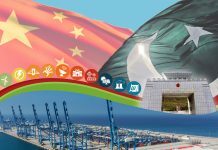 The recently held China-Pakistan Joint Coordination Committee (JCC) has reportedly considered setting up only two prioritised Special Economic Zones under CPEC. Earlier it was expected China would cooperate in the development of three prioritised SEZs including Faisalabad, Hattar and Dhabeji industrial areas. However, the Chinese side has only agreed to consider two zones, as discussed in the Joint Working Group of Industrial Cooperation of both countries,” insiders added. “Even the study on SEZ in Gawadar could not satisfy Chinese investors and the government,” said the sources. The two SEZs are among nine zones that were approved, in principle, by the 6th JCC held in December 2016 in Beijing. However, the progress on other seven sites is not satisfactory and in some cases, the provincial governments have not yet submitted the feasibility studies. According to sources, the Chinese side showed satisfaction and showed interest in investing in Dhabeji SEZ in Sindh, and Hattar SEZ in KP province. The government has announced five-year exemption from customs duty for the parties developing the SEZs and ten-year exemption for the industries which will start functioning before June 2020. So far nine SEZs have been identified to be established soon. One each in Punjab, Khyber Pakhtunkhwa, Balochistan and Islamabad, two in Sindh and one each in FATA, Azad Kashmir, and Gilgit-Baltistan. Though the government claims of facilitating local and foreign companies, which wish to set up their units in SEZs, the ground reality, as sources say, is that the announced facilities are yet to be extended. Firms from at least four major sectors have reportedly applied for tax exemptions and facilities but they are yet to be provided with the same. Earlier, Board of Investment (BoI) had announced that all local and foreign companies who wish to make investments and set up industries in the SEZs would be exempted from taxes. The BoI had also conveyed to the federal government that provinces must not charge taxes from investors. An official source at the Ministry of Planning and Development, however, claimed that China has accepted three SEZs while feasibility studies for others are under evaluation. 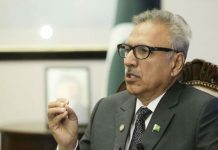 Rejecting the impression of Chinese concerns about repayment capacity, he said, there is no loan involved in SEZs while the repayment of the loan received for some projects will start after five years. He said the exemptions and facilities to local firms at SEZs were already approved. In absence of transparency, there is no dependable, independent study of overall long term impact of CPEC on Pakistan and even on Chinese banks. Corrupt Pakistan leadership does not auger well. Does anyone has authenticated terms of CPEC project fundings and the project details? Pl provide the link.